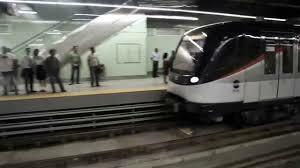 Line 1 of Panama Metro had a 45-minute delayed start on Thursday, January 17 due to electrical problems. The glitch comes as the first wave of World Youth Day(WYD) pilgrims are arriving in Panama, and authorities plan closure of public offices to reduce road traffic and urges the population to use public transport. It was not the first time that the system has closed down, and with scores of thousands of pilgrims carrying public transit passes set to flood into Panama on the weekend, potential transit hitches are a nightmare scenario for the organizers who anticipate an attendance of at least 250,000. Thursday ’s problem was generated in the internal network, according to the Panama Metro and maintenance staff worked on resetting the power system. Users who were in some of the Metro stations trying to get to work expressed their frustrations. Liliana Aguirre, Operations Manager of the Metro said that during the night there has been preventive maintenance, for the World Youth Day and one of the systems did not react as expected. She said that an operations and maintenance team activated a contingency program to open the public and offer the service before 6:00 am, as usual. The Metro will continue giving the operative maintenance to give quick answers during the WYD. Aguirre also reported that blank (no passenger) tests are continuing on Line 2 of the Metro, which is scheduled to start with five stations at 5:00 am on Friday, January 18.